It was in 1960 when the Pharmacist Dr. Luis Torrents Torrents began the production of bubble gum against the motion sickness in his Pharmacy, sited in the heart of Barcelona, Spain. Few years later he closed an agreement for a joint venture with the Northamerican bubble gum producer Fleer Corporation. The company born was called Fleer Española and the factory was set up in Olesa de Bonesvalls, a small village located near Barcelona. In the beginning Fleer Española signed a sales and distribution agreement with an important Spanish confectionery company. That was a good way to launch the Fleer brands, like DUBBLE BUBBLE, CLIX, or NIÑA, that were very well positioned into the market by an excellent team. 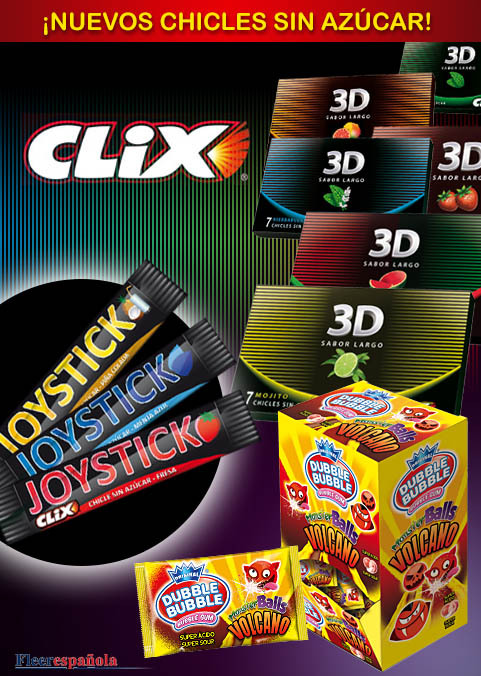 Few years later, Fleer created its own sales organization and after hard and professional work the brand CLIX became the Spanish market leader within the single piece sugar-free chewing gum segment. FLEER ESPAÑOLA has constantly grown from its beginnings, investing a relevant percentage of its sales in R+D and industrial expansion. Nowadays the International activity has reached significant relevance, complementing the domestic market business and contributing to the company expansion.